Kathleen Mulhall, who admitted cleaning up the scene where her daughters had killed her boyfriend, has been sentenced to five years in prison. 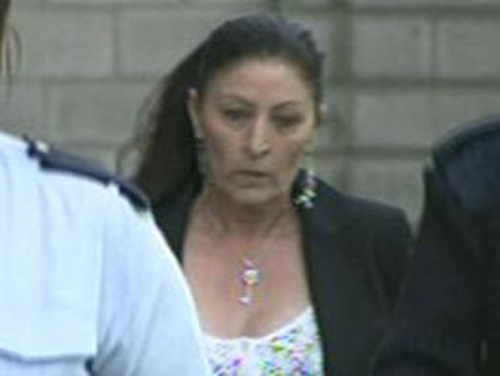 Mrs Mulhall told gardaí that she did not witness the killing of Farah Swaleh Noor, but she did admit cleaning up the crime scene at Richmond Cottages in Ballybough. The headless body of Mr Noor was found in the Royal Canal in Dublin in 2005. In 2006, Ms Mulhall's daughter Charlotte was convicted of Mr Noor's murder and another daughter Linda was found guilty of manslaughter. At the Central Criminal Court, Justice Paul Carney said the details of the dismemberment of Mr Noor was the most grotesque case that he had dealt with in recent times. The court heard that the killing of Mr Noor happened after all four ended up in a flat after a heavy drinking session. Mrs Mulhall had been in an abusive relationship with Farah Swaleh Noor and the court heard she had suffered violence in other relationships with men. Senior detectives have confirmed that the investigation is now over and have declared the case closed. Today Kathleen Mulhall, who voluntarily returned to Ireland from the UK for questioning, joined her two daughters in prison. Her sentence was backdated to early 2008.